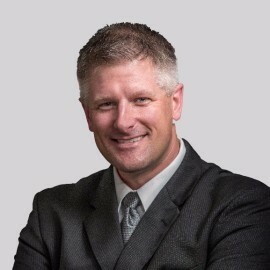 John is the Vice President of Information Technology for Kreg Tool Company where he has overall accountability for the vision and operations of Kreg Tool’s technical environment. Kreg Tool Company manufactures a wide variety of tools, accessories, and equipment for woodworkers and DIY. Kreg Tool products are available throughout North America and in select international locations through local dealers and online retailers (www.kregtool.com). John has over 20 years of experience in both the Insurance and Manufacturing industries. John started his career at Pella Windows as a Software Engineer advancing through various technical positions ultimately becoming IT Manager of Corporate Logistics. John spent 8 years at Nationwide Insurance and served in various management and Director roles in Corporate Strategy, Program Management, Requirements Analysis, Process Improvement, and Office of the CEO. John also spent 2 years at Aviva USA as an AVP for the office of the CIO leading strategic planning and M&A Integration. John has a Bachelor degree in Management Information Systems and a Master of Business Administration. John currently resides in the greater Des Moines area, with his wife Katie and 3 children.